our hands dipping deep into the moonlight shimmering on the sea. "Will you marry me?" 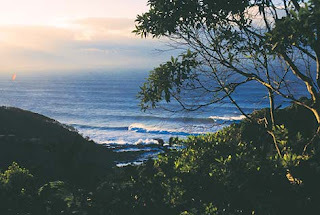 "Yes"
A picture perfect peek at artist Jimmy McMillan's favorite hideaway, Byron Shire, Australia.